The Ascott has cemented its footprint on the African continent with the opening of its first property in Accra, the capital of Ghana. 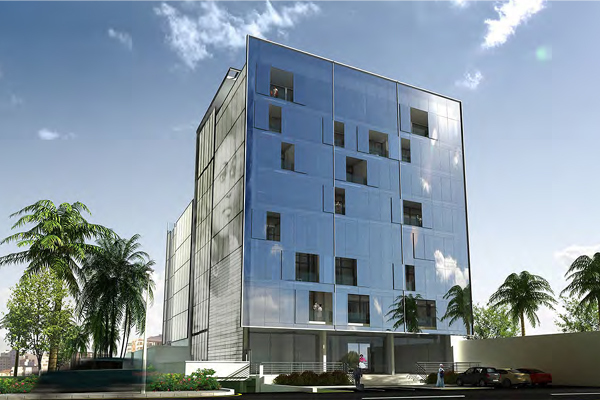 Kwarleyz Residence, which is managed by Ascott, will be the first upscale international-class serviced residence to enter the flourishing Ghanaian market. Located in the upscale airport residential district, Kwarleyz Residence is surrounded by embassies and the headquarters of gold mining companies. About a five-minute drive from the Kotoka International Airport, the property is within easy access to the Marina Mall at Airport City and Tema Industrial City, via the Motorway. Kwarleyz Residence is owned by Wonda World Estates, one of the leading real estate developers in the African continent, with a proven track record of delivering international-quality, world-class developments in the region. Offering breathtaking views of the city, the luxurious Kwarleyz Residence is articulately designed with contemporary architecture and glass facade overlooking Kofi Annan Street in the Airport Residential Area. The 40-unit serviced residence provides a variety of studio and one- to three-bedroom apartments, with quality finishes, ambient lighting and sleek flooring. Discover the comfort and luxury with a myriad of facilities at the property including a restaurant, coffee lounge, sky bar, rooftop garden and basement parking. Guests can relax and rejuvenate in the fully equipped gymnasium, outdoor pool or spa. Kwarleyz Residence bringing class and excellence to Accra. The International Monetary Fund forecasts that Africa’s economy will be the second fastest growing in the world with an annual growth rate of 4.3 per cent from 2016 to 2020. Ghana is ranked Africa’s fifth most attractive investment destination. Its foreign direct investment increased by 9 per cent to a record $3.5 billion in 2016. With an economy growing at 7.9 per cent in 2017, Ghana is expected to be one of Africa’s fastest growing countries in 2018.